How do I add an external tool as a module item? 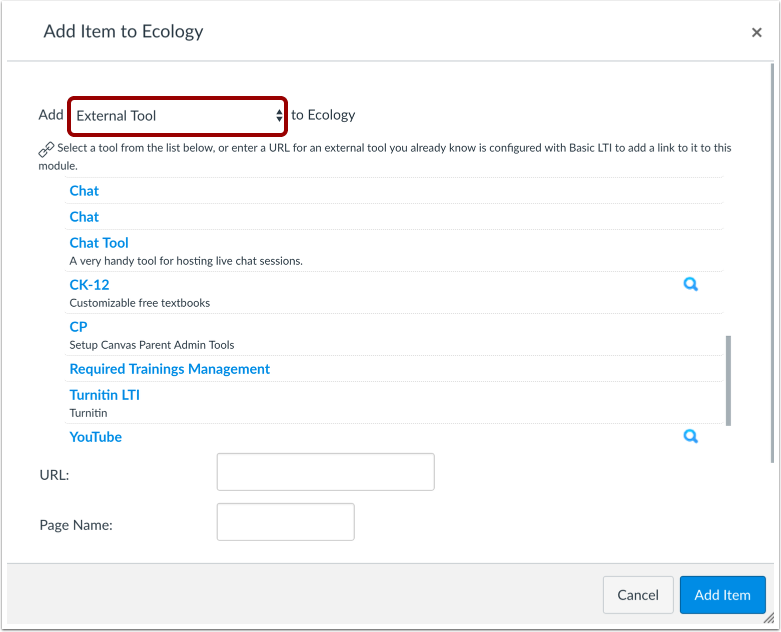 In Modules, you can add links to configured external tools in Course Settings. However, you can still add unconfigured tools if you know the required information for the external tool. In the Add [Item Type] To: drop-down menu, select the External Tool option. Locate the configured tool and click the Search icon. An external window will appear in your browser; follow the instructions to add the tool. 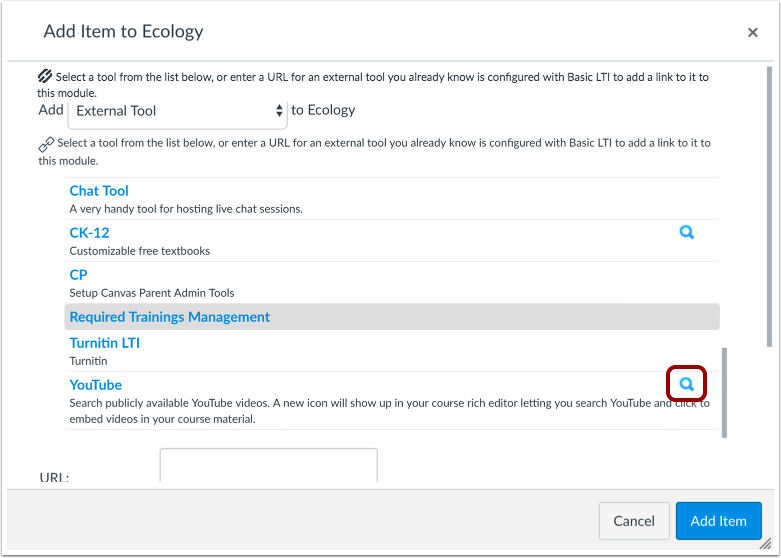 If you want to add a tool that has not been configured in your course, locate the configuration URL for the tool you want to link to and type the URL in the URL field . Give your External Tool a Page Name . To have the tool open in a new browser tab, click the Load this tool in a new tab checkbox . 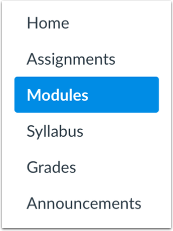 Choose whether or not to indent the item in the module drop-down menu . Note: Because Basic LTI configurations can be added at a later time, the dialog will accept URLs that don't match any existing configurations. However, when you try to navigate to an external tool that is not configured, you'll see an error message indicating the problem. View the external tool in your module. Previous Topic:How do I add a text header as a module item? Next Topic:How do I add an external URL as a module item? Table of Contents > Modules > How do I add an external tool as a module item?